Brief Description Discover Portland the green and eco-friendly way. Description This award-winning walk clarifies why Portland is regularly recognized as one of the best places to live. On this fun easy 1.5 mile walk through downtown, one of our local Resident Experts (aka "guides") will give you an insider's view of the Portland from it's founding to the present, including plenty of fun facts, tips and tricks to fake being a local. Even life-long Portlanders are amazed and entertained by what they learn. This tour earned us the Best Tour from Citysearch and Willamette Week’s award for “Best Way to Fake Being a Native.” And don’t forget the camera! There are lots of great photo opportunities. Plus this is your chance for a selfie in the world’s smallest park! When the City of Portland want to show off the city to visitors, they send people on this tour. Come see why for yourself! 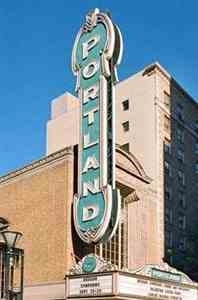 Add Best of Portland Walking Tour to your free online travel itinerary.